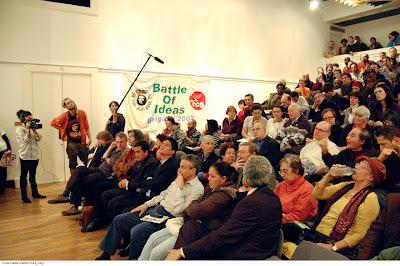 Rock Around the Blockade’s (RATB) 2008 Cuban speaking tour got off to a strong start on Thursday 21 February with a packed inaugural meeting at Bolivar Hall in London, hosted by the Venezuelan and Cuban embassies. 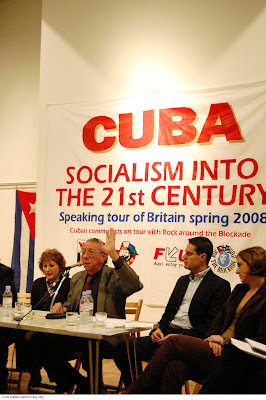 The Cuban ambassador, Rene Mujica, and minister counsellor of the Venezuelan embassy, Felix Plasencia, made introductory remarks and the meeting heard from Helen Yaffe of RATB and Bob Crow of the National Union of Rail, Maritime and Transport Workers (RMT), which is sponsoring the tour. 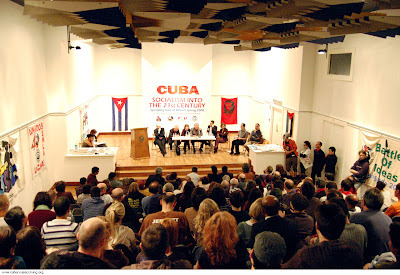 Cuban speakers Jesus Garcia and Orlando Borrego then addressed the meeting and took questions from the audience. 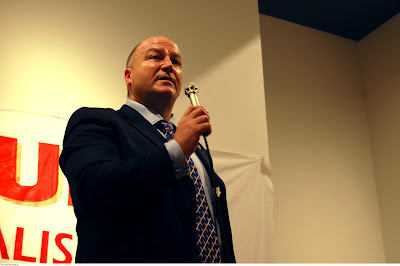 Bob Crow said that ‘today will be a cherished day for our union’. He contrasted the ignominious ‘battle of ideas’ which imperialism is waging, with the revolutionary, grass-roots Battle of Ideas in Cuba, saying that the reality is that a small island has for 49 years demonstrated that another world is possible. He expressed his absolute support for the tour and said he felt sorry for those who hadn’t got involved in it because they said it was some kind of sectarian enterprise, because it is they who are the sectarians and are missing out. 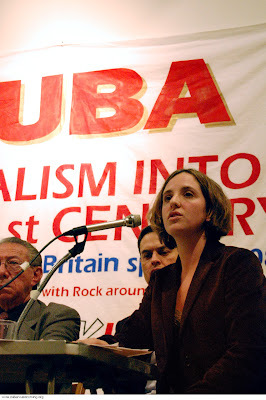 Helen Yaffe said that there are three key reasons why RATB is hosting this tour – to counteract the misinformation about the Cuban revolution that is circulated in Britain, by providing a platform for three representatives of Cuban socialism, who are part of the left tradition of Marx, Lenin, Che and Fidel, to give people in Britain a chance to cut through the counter-propaganda and have direct dialogue with Cubans so they can understand how a tiny island which is blockaded by the world’s most powerful empire, has achieved so much in the field of human development and progress and most importantly, to convince the audience who comes to hear the Cuban speakers, that we must change our own country and change the world. Revolution is not an event – it is a process, and one we can all be part of. 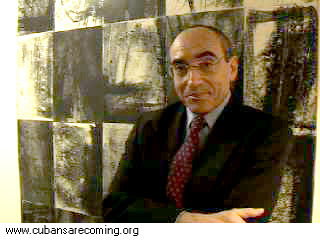 Jesus Garcia (http://www.cubansarecoming.org/speakers.html#jesus) told the meeting that socialist development is a Battle of Ideas and that Cuba is permanently changing. He said that the people who say there is no opposition in Cuba are wrong. The opposition is the 11 million people in Cuba who oppose everything that is done wrong and are constantly demanding it be improved. When people talk about democracy in Cuba they don’t understand that Cuban society cannot be understood in terms of liberal democracy, because it is a new kind of society. The word ‘democracy’ has been manipulated and stolen. In 1959 the revolution gave weapons to the people of Cuba. This was the ultimate act of democracy because the people could choose whether to defend the revolution or not. All questions of democracy in Cuba have to be approached by understanding that Cuban society is a new and different way of ruling society. We are trying to involve people in the process of reproduction of life and transformation to newer, richer human beings. 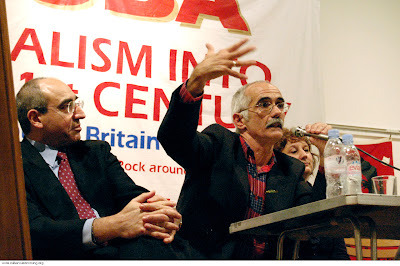 Orlando Borrego (http://www.cubansarecoming.org/speakers.html#orlando) expressed his solidarity with the Venezuelan comrades, who reminded of the new revolutionary times of his youth. He spoke about Che, who he had fought alongside – in war and in peace. He said those who condemn Che today should know he was a man with a big, generous heart and great compassion. He studied intensively and made those around him study as well. He was a leader who led by example, not by talking and not doing. People will not accept leaders who talk about sacrifices but don’t make them themselves. When asked by a member of the audience, what changes would take place ‘after Fidel’, Borrego responded by saying that Fidel is not retiring; he is not standing as president, but he will continue to write and contribute. And the world will continue to read and believe what he writes. Because in 50 years he has never lied. 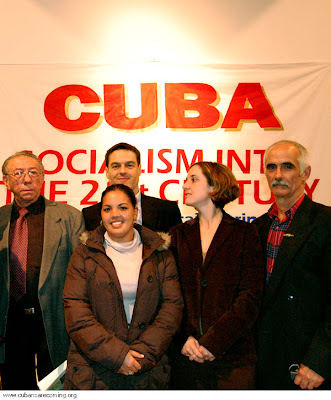 Borrego said that the Cuban revolution is forever; socialism is for ever. But socialism is young. It is a babe in arms, not yet a century old. We have to perfect it and work on it. Nobody told us how to build it. There is no blueprint.